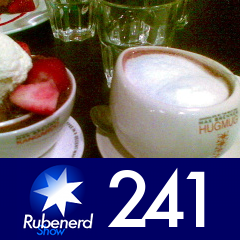 33:43 – Labour Day in Singapore, sexism you'd be shot down for in Australia, Garfield quotes, mouth clicking is not professional, gorgeous pink sunsets, Jimbob finds out what's wrong, my cat versus dog debate (which one do you prefer? ), Max Brenner restaurant review at the Esplanade, absolutely incredible chocolate! Branches in the US, Singapore, Australia, the Philippines, Israel. Drinking out of Hug Mugs, comparing it to the Starbucks Chantico, Aztec style chocolate goodness! I took the sunset photos in such a hurry none of them really turned out that well, so I posted a camera-phone picture from Max Brenner's instead. Sorry folks! Newer post ← Happy May!